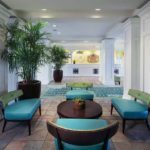 Located next to Paradise Island, the famous home of Atlantis, this resort in Nassau, Bahamas is the perfect place for a relaxing getaway. With a zero-entry free-from pool, multiple tropical courtyards, a waterpark, and a 24-hour fitness center, you’ll find plenty of activities for you and the family at this resort. With transportation and full access to the adjacent Paradise Island, the options are endless for your fun in the sun. 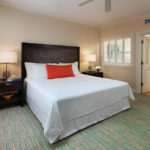 Overlooking a harbor on Paradise Island, this complex of cozy villas is a 2-minute walk from Paradise Island Ferry Terminal and 4 miles from Ardastra Gardens zoo. Beautifully bordered by The Atlantis Marina, Marina Village, and Nassau Harbour, this resort is the hallmark of secluded luxury, making it an ideal place to relax, unwind, or go on your own island adventure. 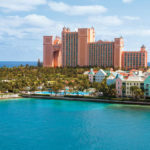 Vistana Harborside at Atlantis is a Caribbean vacation all suite/villa destination Resort and Water Park offering couples and families the ultimate in luxurious getaways. 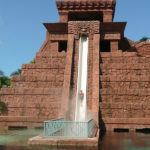 With the onsite Aquaventure Waterpark, Atlantis Casino, and Dolphin Cay, you’ll find plenty of activity for the whole family right at your feet. 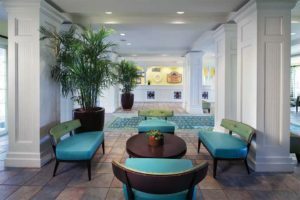 Just minutes from world famous Atlantis off Paradise Island, the Bahamas Historical Museum, Astrada Gardens Zoo and Conservation Center, and the Ocean Club Golf Course, this is the perfect resort to dive into the culture of the Caribbean and experience everything the islands have to offer. 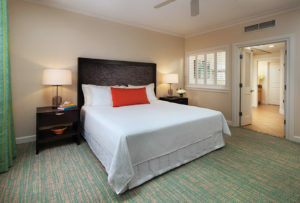 Vistana Harborside offers luxurious and spacious one, two, and three bedroom villa suites, with panoramic views of the ocean and surrounding areas. Villas include sitting and dining areas, complete kitchens with full cookware and dishware, patios or balconies, and high speed Internet access. Parking is complimentary. Guests will experience fun in the sun with one collosal zero-entry free-form pool, a kid’s pool, whirlpools, access to the Aquaventure Waterpark, the Dolphin Cay, table games, hammocks, hourly planned activities for all age groups, an onsite spa and kids club, tennis courts, and an 18 hole golf course. Walk on to the beautiful Caribbean beaches, just minutes away from your villa and let your luxurious, relaxing vacation begin. Comments: Just Listed! 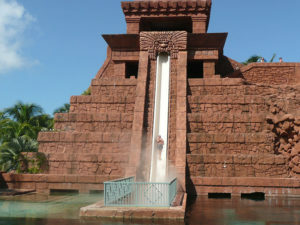 Come enjoy a great vacation in the Bahamas.